In the third piece of our series, Dr Alex Scott-Samuel writes about celebrating the NHS 70th anniversary by supporting Labour’s plans for the health services. Much remains to celebrate on our health service’s 70th anniversary, despite deep cuts, rationing of care, fragmentation and increasing privatisation of clinical services and NHS infrastructure. The present problems besetting the NHS are nothing to do with our ageing population, nor with the costs of drugs and medical technology, as Prime Minister Theresa May, Health Secretary Jeremy Hunt and the right-leaning think tanks with high media profiles would have us believe. A wealthy country like the UK can afford to provide a good health and care service. 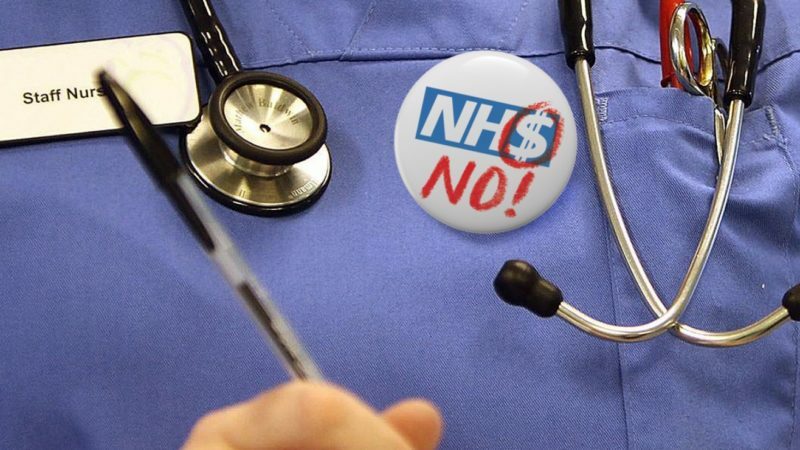 The problems besetting the NHS today are a result from deliberate ideological choices. The first is the failed Tory experiment with austerity, which was of course a thin excuse for savage attacks on local government and on Labour’s welfare state. The second is the intentional chaos resulting from the simultaneous application of cuts, rationing, fragmentation, and privatisation. Examples of these attacks are not hard to find. Cuts were applied severely to the NHS, when between 2010-15 every English region became ‘in deficit’ through arbitrary Treasury spending limits. Rationing can be seen since routine procedures, like joint replacement and cataract surgery, have been made much harder to access. Former Blair adviser and US healthcare leader Simon Stevens split England’s single health service into 44 corporate ‘integrated care systems’ – fragmentation strategy at its nastiest. And as far as privatisation is concerned, well, the NHS is now a logo behind which you may unknowingly be using a service contracted out to Virgin or SpecSavers and the whole system is devised and often managed by transnational corporations like McKinsey, Capita and KPMG. As a result of this covert “cultural revolution” billions are wasted on the transaction costs of Hunt and NHS chief exec Simon Stevens’ NHS market and on the business infrastructure necessary to maintain it. Meanwhile, chronic disease sufferers and maternity patients are being enticed to adopt personal health budgets in order to undermine public sector NHS funding and in preparation for linking with health insurance copayments (for those who can afford them). And Labour’s role in opening the door to privatisation under Blair meant that until very recently, we lacked the political courage to challenge the neoliberal takeover of our NHS. That is until the strong, courageous way that Jeremy Corbyn and John McDonnell have attacked the zero hours contractors, the asset strippers and the tax dodgers to whom we had become accustomed in Toryland. Shadow Health Secretary Jon Ashworth, in keeping with Labour’s NHS policy unanimously agreed at 2017 conference, accepts that ‘privatisation’ means much more than outsourcing alone. The composite NHS motion, originally drafted by the Socialist Health Association (SHA) and which I had the privilege to propose, made it clear that the whole health system is being opened up to corporate interests; it committed Labour to actively opposing NHS England’s 5 Year Forward View plan and its accountable (now integrated) care systems. On June 27, together with Eleanor Smith MP who has supported Professor Allyson Pollock and Peter Roderick’s NHS Reinstatement Bill – which for five years has been a symbolic exemplar of how to renationalise the NHS – Mr Ashworth signed the NHS Takeback pledge, which is directly derived from the Reinstatement Bill. Labour has aligned itself with the voice of the people. The SHA believes that it is misleading to focus solely upon funding cuts as the explanation of NHS problems. Nor is the real debate about what the government and the think tanks call ‘NHS sustainability and transformation’. It is between democracy and corporate power. The question is whether we are content to let the multinationals usurp what remains of our democracy. From its founding in 1930, the Socialist Medical (now Health) Association argued and advocated for the NHS and we remain steadfast supporters of the values on which it was founded. Healthcare is a human right and everyone, regardless of income, class, race, mental/physical ability or sexual orientation has a right to good health and care. The pooling and sharing of risk on a national basis and public services free at the point of use, as Bevan said, liberate us from fear. Happy birthday to Labour’s and to the people’s NHS! With thanks to all who contributed ideas and text. I acknowledged your inspirational contributions in my submission but this was cut in the slightly heavy sub editing process.